← Torquere Charity Sips, including Training Cats, are out! The little tidbits I’ve been mentioning about ship-building are coming closer to showing up in a story. 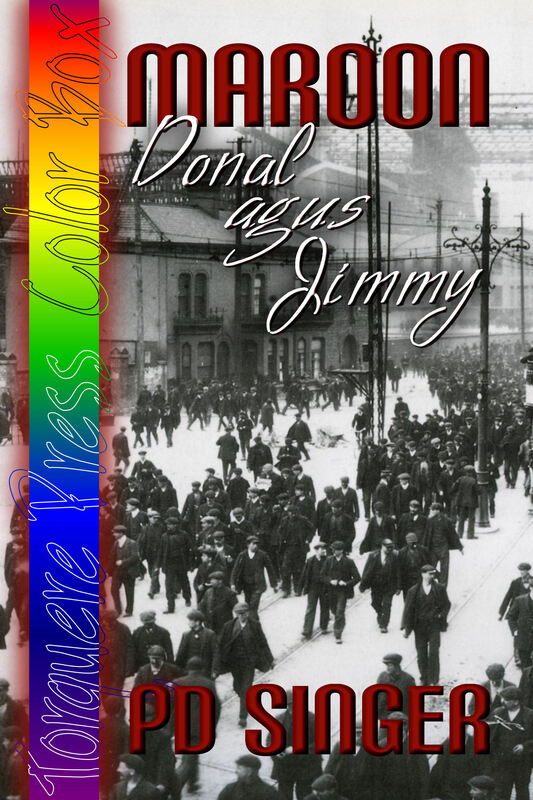 I received the cover art for my upcoming Color Box novella, Maroon: Donal agus Jimmy. It really evokes the period and the place, which is a ship yard in 1911-1912 Belfast. There’s a ship in the background, so 2 points for anyone who can put a name to it. This entry was posted in Writing and tagged cover, Donal, Jimmy, Maroon. Bookmark the permalink. Two points and a trading card in New Orleans for you! I’ve looked at about a cabillion pictures from this era and of this shipyard. The most dramatic ones available do feature that particular ship, making it a little tough to get away from it.